Nowadays, most of the corporate is actively develop their in house IT system for enhancing their productivity. Each corporate facing different problem while running their company system due to their nature of business. SimERP provide professional consultation and provide customade business solution to assist enterprise improve productivity and increase return of investment. 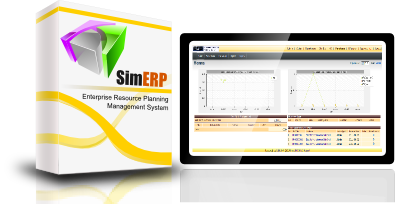 SimERP - Enterprise resource planning (ERP) integrates internal and external management information across an entire organization, embracing finance & accounting, manufacturing, sales and service, and customer relationship management (CRM). SIMERP software is an integrated software application. Its purpose is to facilitate the flow of information between the process of business of an organization and it may manage the connections to outside stakeholders. The integration of POS and accounting module. Integrate SimERP with our accounting module make your life easy, help you control your whole business any time any where! Business transaction from anywhere will post into accounting module on the fly. Simerp allow our client centralize manage all outlet from single web browser. Our customer able to manage their business with more flexible time. And their client feel satisfy because they enjoy best benefit from all outlet!